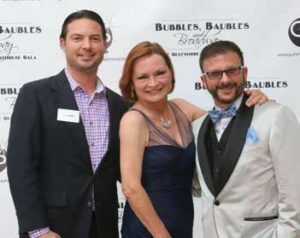 Gulfshore Playhouse, Naples’ premiere professional regional theatre, recently celebrated its 8th annual gala, Bubbles, Baubles and Broadway, with a star-studded evening that raised more than $750,000 for artistic excellence. Entertainment led by Broadway actress Kate Shindle opened the gala with the show-stopping number “Don’t Rain on My Parade” from “Funny Girl.” A sea of crystals, lights and glitter décor, inspired by the Light the Lights theme, greeted the crowd of nearly 300 guests, who gathered to celebrate the unveiling of the exterior design plans for Gulfshore Playhouse’s new Theatre and Education Center. 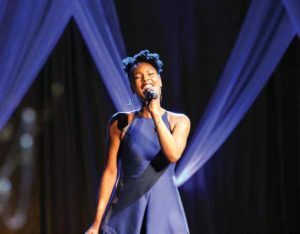 The black-tie gala also featured musical entertainment by Kissy Simmons of the Tony Award-winning “Lion King” on Broadway, accompanied by music director Matt Aument, who also served as musical director of last season’s Gulfshore Playhouse production of “My Fair Lady.” Acclaimed New York designer Jimmy Lawlor created a custom lighting design for the gala. The evening continued with exciting top bids for experiential auction lots, several receiving multiple winning bids. A behind-the-scenes meet-and-greet for adults and children with the cast from the recent Broadway debut of “Frozen” resulted in a bidding war settled by two bidders offering to pay the top bidding amount for the package. To commemorate Gulfshore Playhouse’s unveiling of its new theatre plans, William Boyajian of Port Royal Jewelers created a one-of a-kind custom ring dubbed Eye to the Future that was auctioned off for $20,000. Capping off the live auction was a funda-need paddle raise resulting in $388,000 for Gulfshore Playhouse. A portion of the funds raised from the gala will directly benefit the annual Fund for Artistic Excellence that allows Gulfshore Playhouse to employ the nation’s most sought-after actors, directors and designers, and enables the theatre to commission new works, create unique educational opportunities and continue producing world-class productions. architectural firm selected to design the new theatre. H3, a design studio within Arquitectonica, specializing in theatres and arts and culture buildings, has designed some of the most prominent theatres in the country, including the Claire Tow Theatre and Vivian Beaumont Theatre at Lincoln Center, the Theatre for a New Audience in New York, and the renovation of Radio City Music Hall in New York. Fort-Brescia presented the new renderings for the state-of-the art theatre, situated on a three-acre parcel at the corner of 1st Avenue South and Goodlette-Frank Road that will extend the core of downtown east of 5th Avenue South. Facing Goodlette-Frank Road, the new theatre will be an expressive sculptural design inspired by the white sand and golden sunsets of the Gulf Coast. 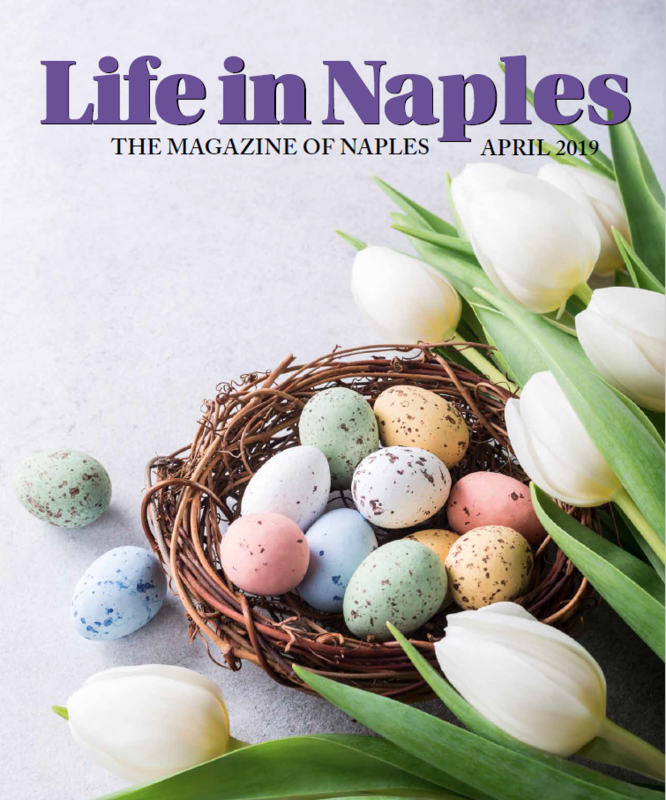 The theatre has also been designed to connect with Naples’ downtown landscape featuring gardens with walking paths, lush terraces and contemplative spaces. The stunning design of the theatre showcases a vibrant, animated lobby that includes 30-foot, floor-to-ceiling glass windows framing views out to the surrounding streetscape. Patrons arriving at the playhouse will enter an energetic and airy lobby space, with multiple levels and overlooks designed to encourage people watching. The lobby will also serve as a welcoming and engaging space for audience members, visitors, students and families, and feature a café/bar and lounge areas to relax and enjoy. The sense of anticipation carries into the theatre itself. 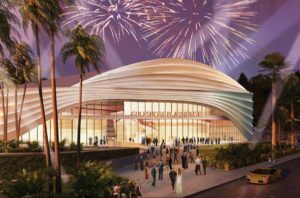 Plans for the complex include a 400-seat mainstage proscenium theatre with sloped stadium seating, side boxes and a striking arched proscenium to be used for large-cast musicals, classics, world premiere comedies and dramas presented in an intimate setting. 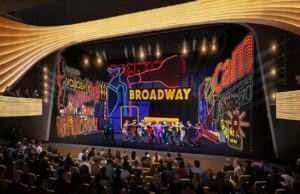 The mainstage will be the size of a traditional Broadway stage and will be used for productions transferring to a Broadway theatre, when appropriate. The space will also provide audiences with better comfort, superior sightlines and state-of-the-art acoustics. A separate 125-seat studio theatre will provide a home for Theatre for young Audiences, cabarets, jazz performances and edgier fare, as well as public rental space for meetings, convening and other performances. A large rehearsal room, with an indoor-outdoor emphasis, will double as public spaces that can be used for special events, weddings and galas. An education wing will provide additional spaces for students, including rehearsal rooms, classrooms, performance spaces and a student lounge for studying and rehearsing lines. The Theatre and Education Center will support the expansion of Gulfshore Playhouse Education with programs focused on pre-professional training in acting and musical theatre, as well as expand its in- and after-school education programs and provide opportunities for family engagement and life-long learning. “What is unique about this theatre is that there’s an education component. Not all theatres have the ability to do that. Often, they don’t fit, like a New York theatre wedged between other buildings, but here, we included an educational wing that also serves a community purpose,” said Fort-Brescia. Gulfshore Playhouse expects to triple its capacity in the new theatre and education campus, resulting in more than $10 million annually being contributed to the local economy by visitors and residents with the potential to shop, dine and stay at local businesses and hoteliers, according to national averages. The new Theatre and Education Center is part of Gulfshore Playhouse’s Next Stage Capital Campaign, which includes funding for the building costs, endowment, and a building transition fund. A portion of the funds already raised were used to purchase the land in November of 2017. 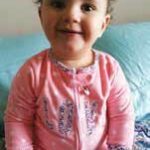 Quiet phase fundraising is currently underway. Project assistance is being provided to Gulfshore Playhouse by Pizzuti Solutions and financing is in place with BMO/Harris Bank. Gulfshore Playhouse is committed to enriching and strengthening the cultural fabric of the region by producing professional Theatre productions of a national standard that celebrates the diversity of local audiences, draws people together to discover a new understanding of oneself, and gives back in a spirit of outreach and service.